While western New York is getting pummeled with more than 7 feet of snow in some areas, that’s not happening at my house, and I’m just a few miles away! 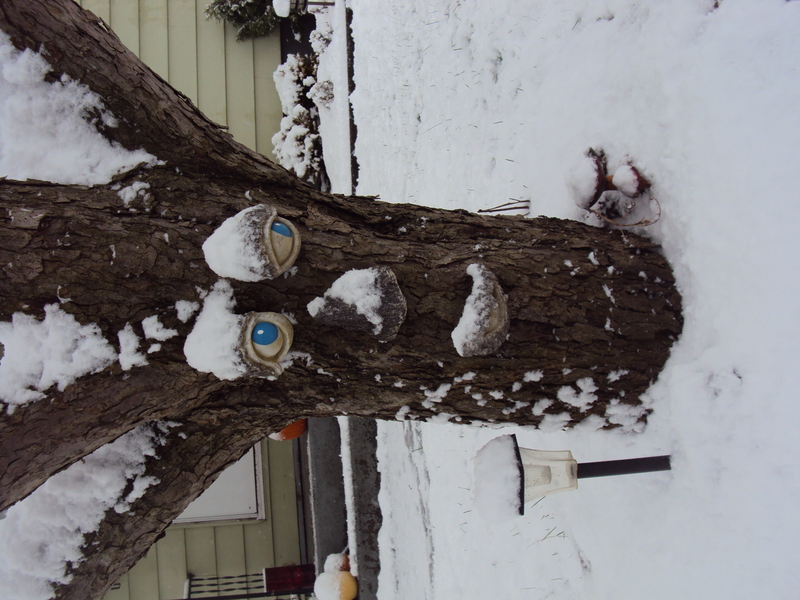 I have maybe an inch or two of snow at my house if I am lucky. Even though the pictures coming out of our great Lake Effect storm are amazing and beautiful, I want to show some pictures I took last week from Late Autumn, and just how different the colors are when nearing Winter. 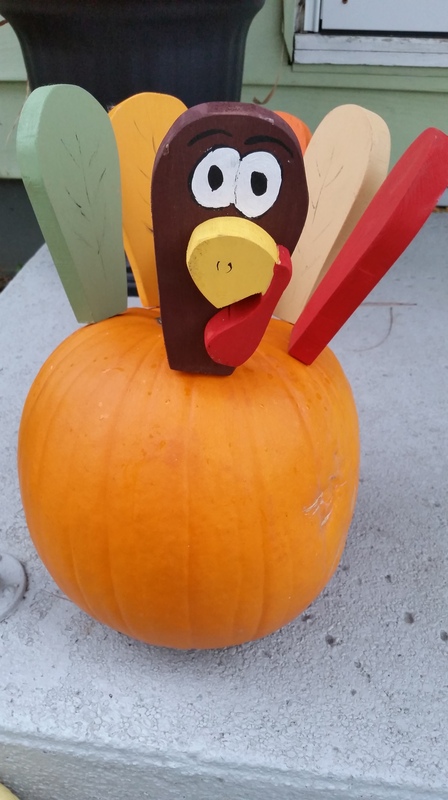 Thanks to my mom for making this cute wooden turkey set that can be inserted into a pumpkin. 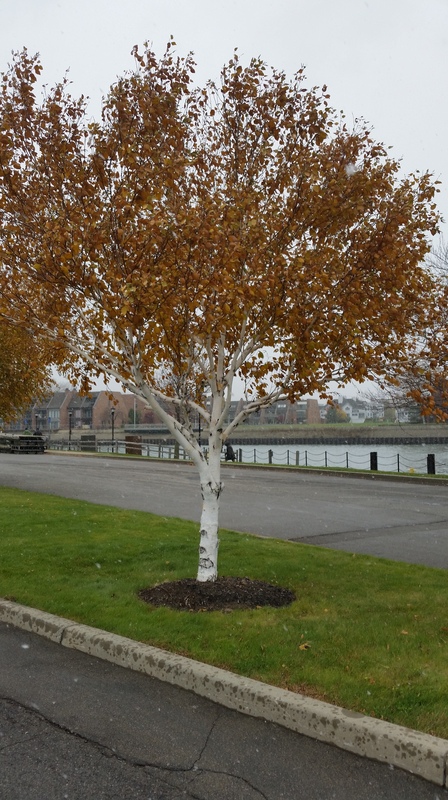 I love the contrast on what I believe is a birch tree. It was snowing big snowflakes that day I took my “lunch break” walk. 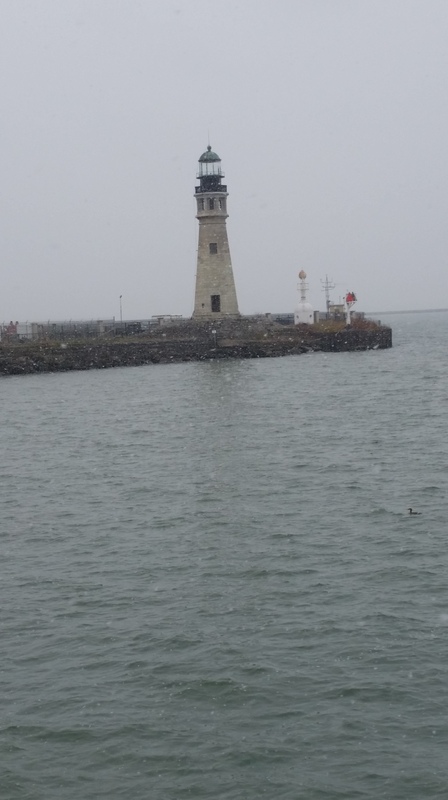 My last picture is of the Buffalo Lighthouse. I love taking pictures of this lighthouse. This isn’t the greatest picture, but I tried to get one so you could actually see the snowflakes coming down around it. I have several different pictures of this lighthouse at different times of the year. The Buffalo Lighthouse. My favorite subject on my “lunch break” workout every day. 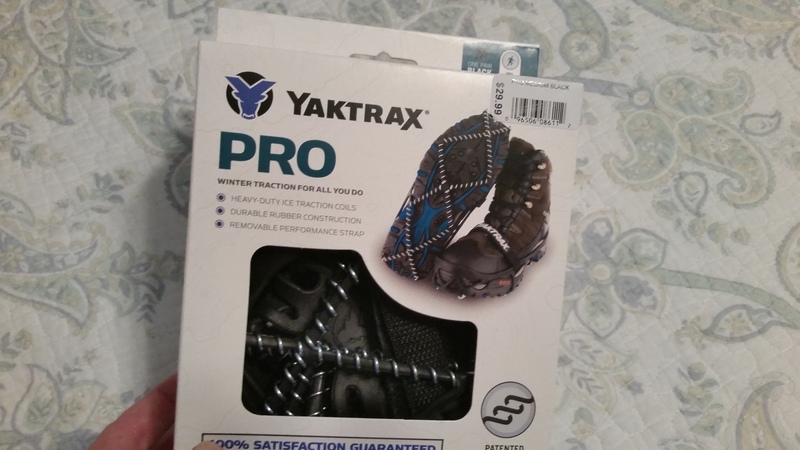 Fall Preparation Part 2 – I’ve Got You Covered. As the weather turns even more unfavorable as the weeks progress, I am reminded I still have stuff that needs to be done in the yard before the ground freezes and the snow starts sticking to the ground. It’s really hard to do so when it starts getting dark at 5:00 at night. I used to be able to get quite a few things accomplished after work, but it just doesn’t happen anymore! 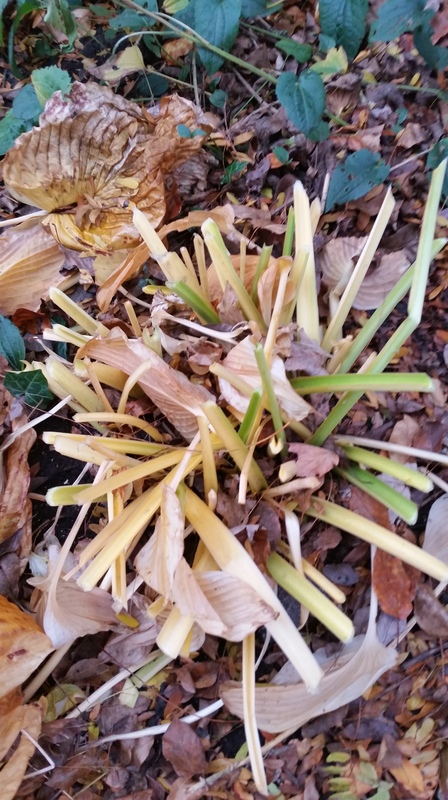 I did, however, manage to help some of my plants take cover yesterday, and also started cutting some of my hostas down. One thing I have not done yet is rake the yard. I have A LOT of trees in my neighborhood, and I would like to wait another week before I get the leaf blower out. The trees still have a lot of leaves on them, and I don’t want to have to keep going out and raking when I could just wait when most of the leaves are off the trees instead of another futile attempt. Haha! 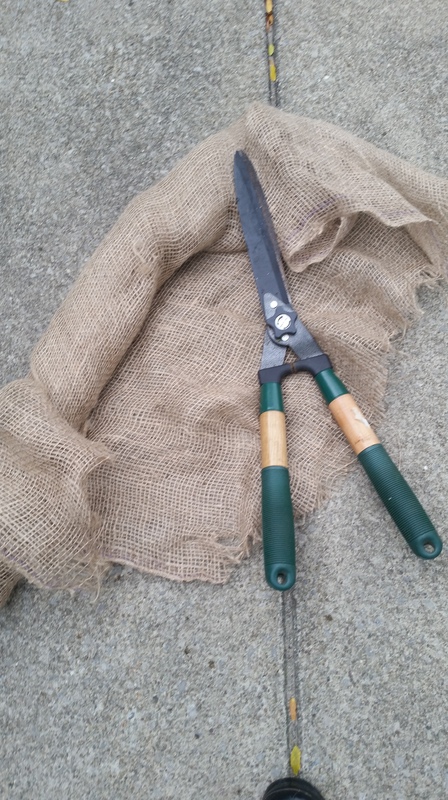 For this garden session, I used some burlap and large garden shears. 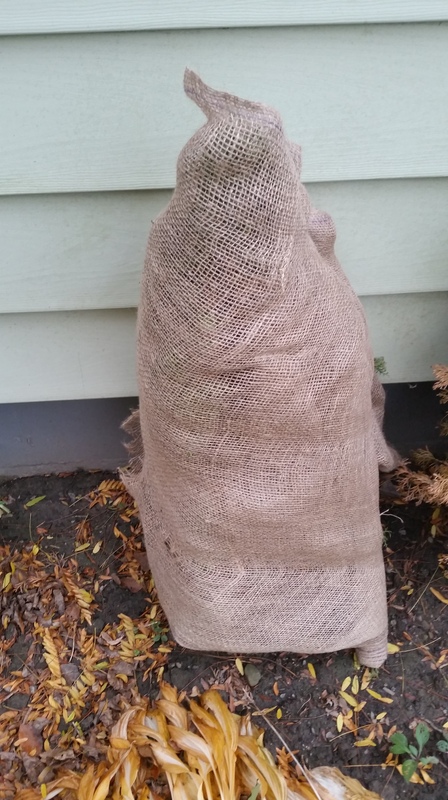 Burlap is a nice, heavy-duty covering for any shrubs, trees or plants that you would like to protect from the weather or animals. It’s fairly inexpensive, and you can get it at hardware and home improvement stores. You can also purchase covers that go right over shrubs and trees to make things easier. I just happen to have burlap leftover and figure I will use this up before I buy anything more. Large gardening shears or clippers, happened to be my favorite gardening tool. 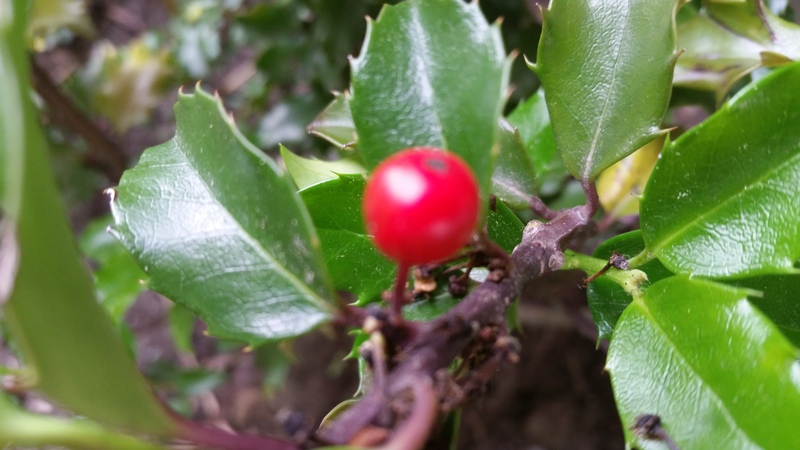 They are so versatile, and can be used for most of your landscaping needs. They pulled double duty for me when it came to cutting my burlap and cutting down my plants. I have a couple of small emerald-green arborvitae out in front of my house. I started wrapping them first with burlap. 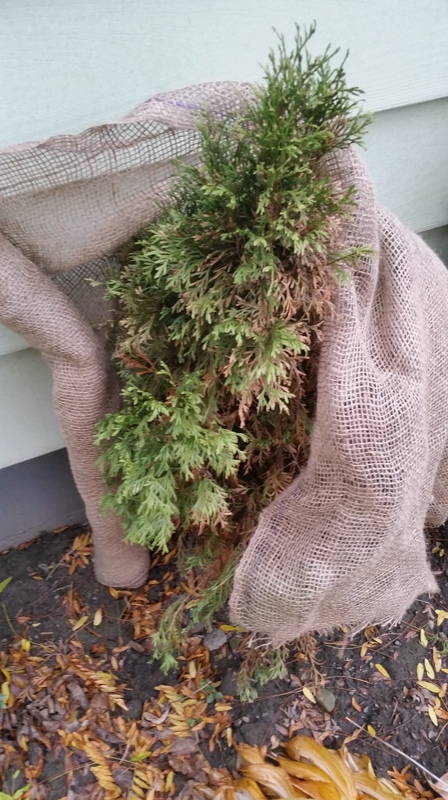 I wrapped the burlap around the arborvitae until it was completely covered. You can use anything to tie or clip the burlap on. There are ties that you can use, and I have known people to staple it and I myself have used metal ornament hooks to keep the burlap closed! 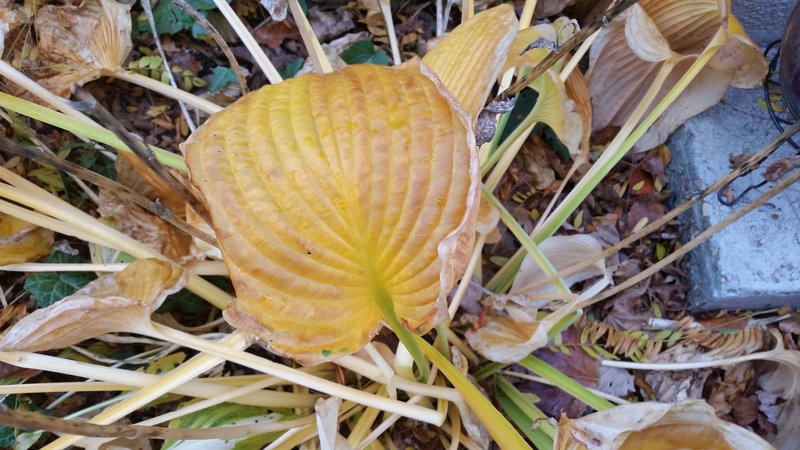 The next item on my “To-do” list for cleaning up was cutting down my hostas. I cut the old stuff down so the new can grow up next season. 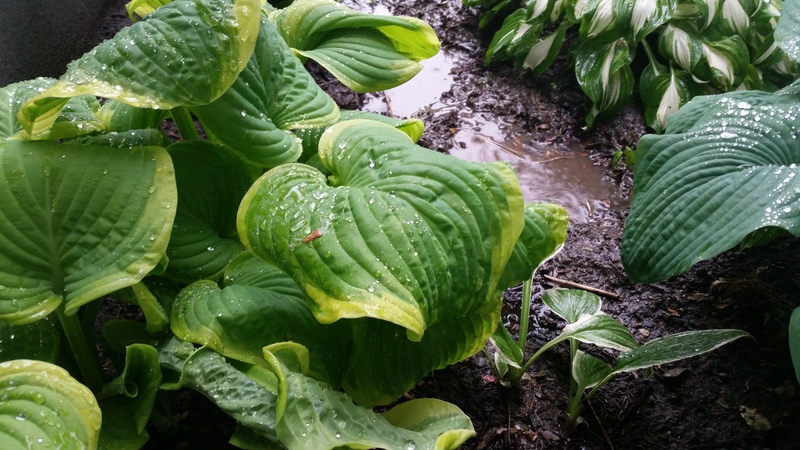 For anyone who doesn’t know, hostas are a gardener’s dream plant. 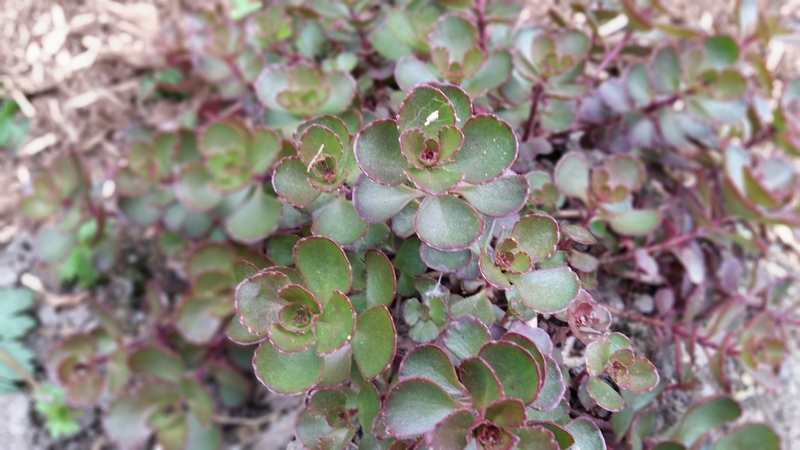 They are a hardy, shade loving perennial that will pretty much grow anywhere you put them. 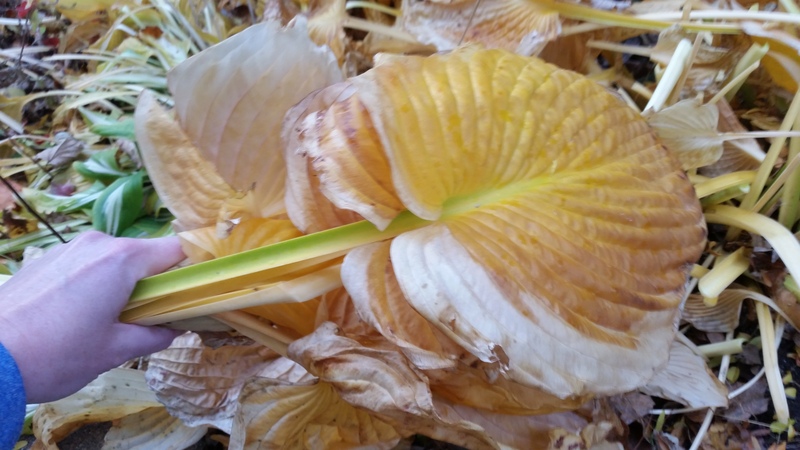 So, if you have a spot in your yard that you can’t seem to grow anything, chances are a hosta will do the job for you! And because they are so prolific and they grow so big, they can be separated, and people will give them to you just because they have so many. 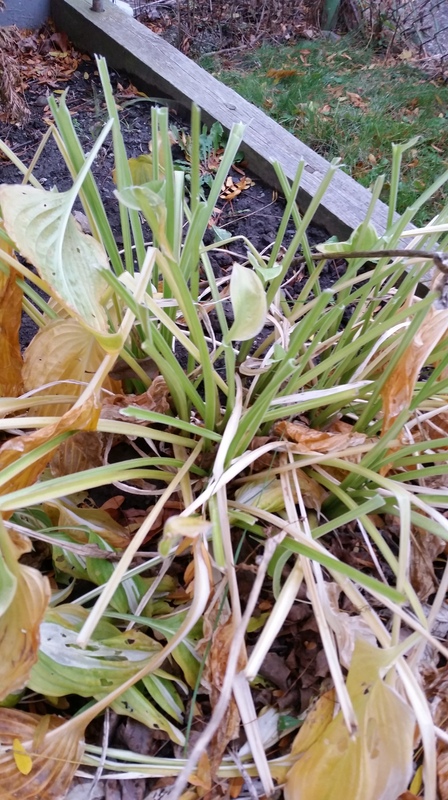 There are several types of hostas, and I have quite a few. They grow HUGE and can be separated. 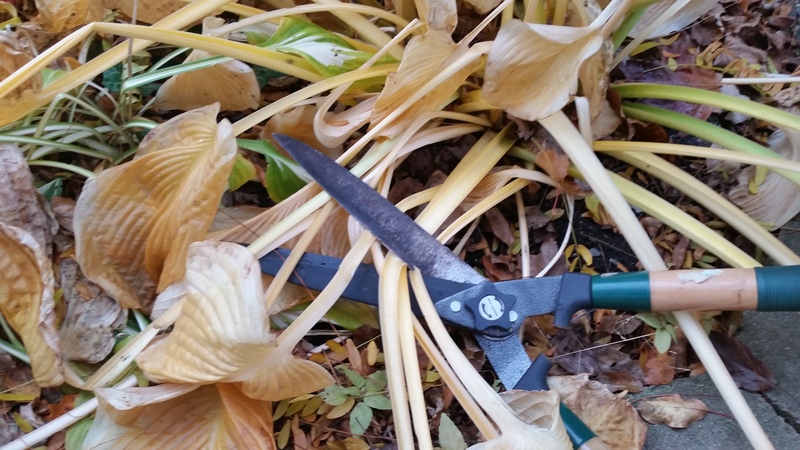 Now my hostas have turned a beautiful yellow, and I need to shear them. I just cut them as close to the ground as possible. And I take the “garden rubbish” and dispose of it properly. There you have it! 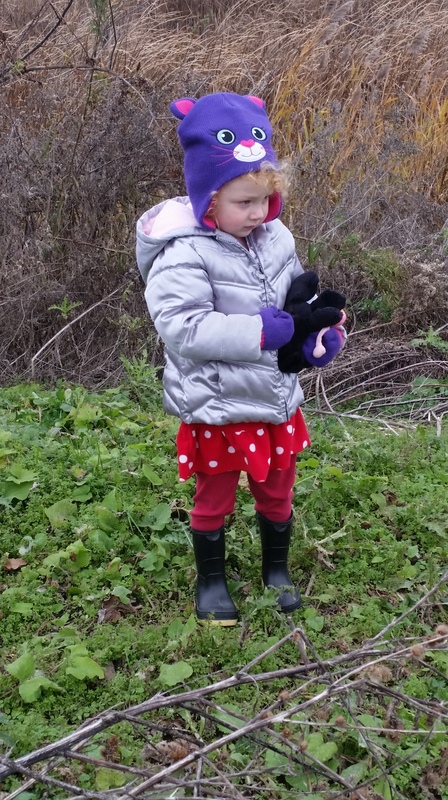 Fall cleanup is a cinch! Lots of work no doubt, but very important if you want to start your next growing season out the right way! So, my target was to get this out on Wednesday, but unfortunately life got in the way and I was unable to. 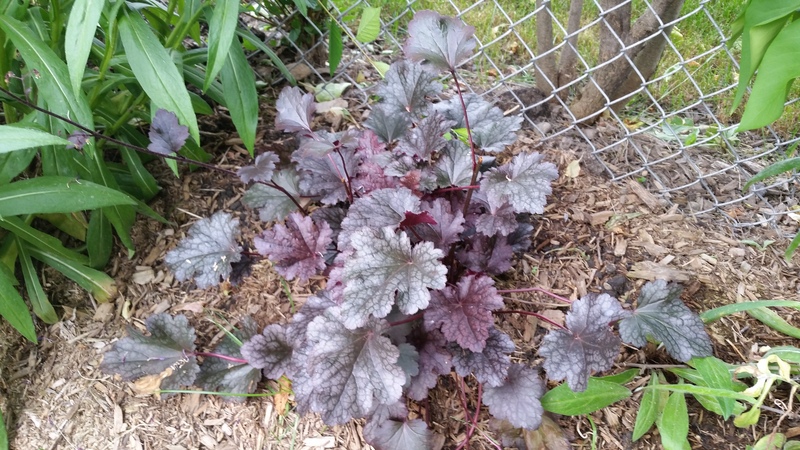 For this week’s “Natural Pause”, I would like to show you pictures of some of the plants I purchased for my new garden bed I had created in early Spring. 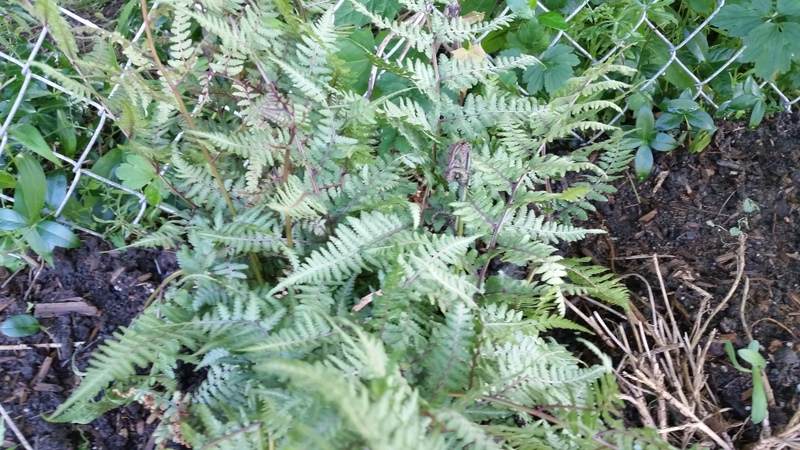 I did get lucky and find many different varieties of ferns, because they are my favorite. And for next year, I plan to add more! 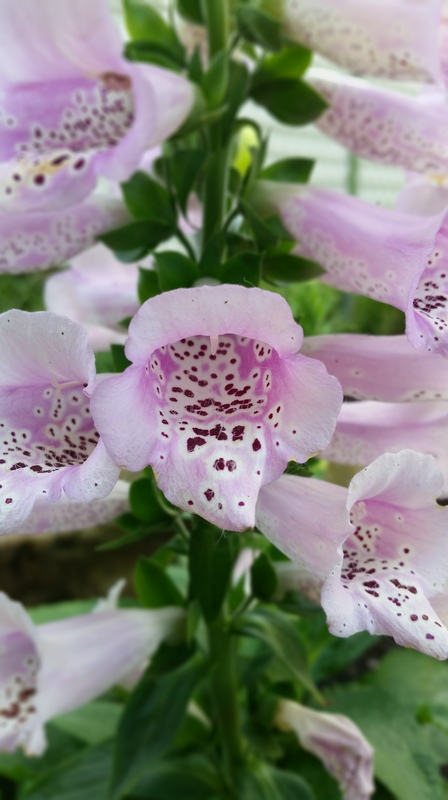 Whatever you decide to plant next year, I hope you enjoy a few of the plants that I have in my gardens. Oh boy, it’s been a busy week! With Halloween and my parents coming to visit, and some Christmas shopping accomplished, I had a full weekend! 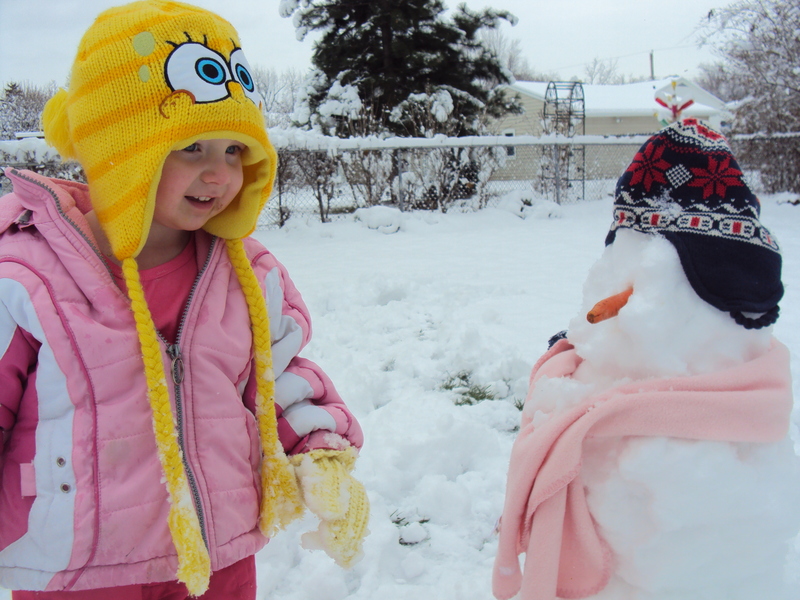 The weather was less than desirable, we ended up getting some snow on Saturday! 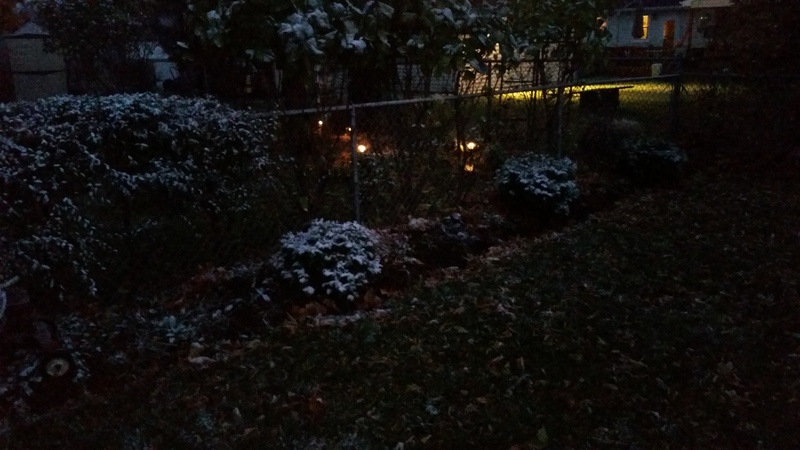 Last weekend was absolutely beautiful, and I was ready to accomplish the second phase of my fall preparation for my garden, but I guess that was not meant to be. I pulled muscles in my lower back yet again, and I was sidelined for the whole weekend. 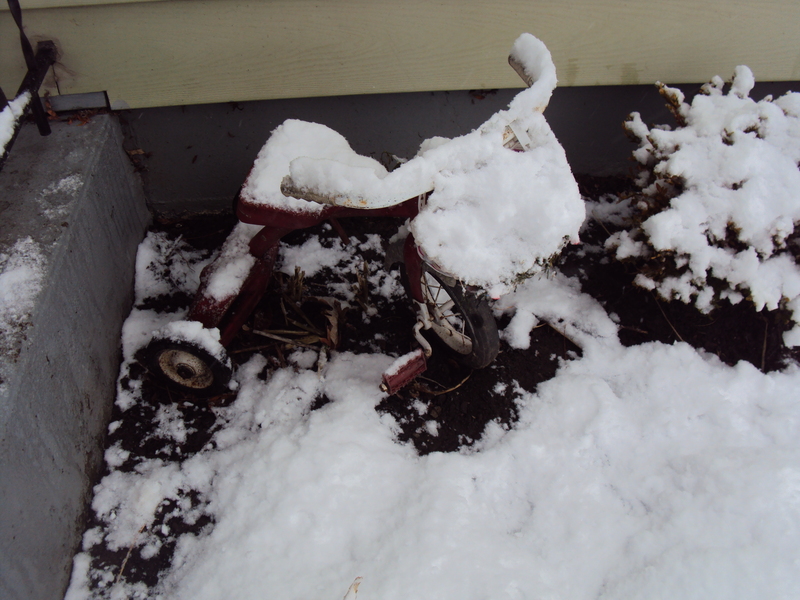 So, in between snowflakes that are forecasted for next weekend, I need to start cleaning up the gardens! I figured while I have some down time allowing my back to rest and heal, I thought this would be the perfect time to reflect on this past growing season and evaluate what I did well with what I did not do so well. 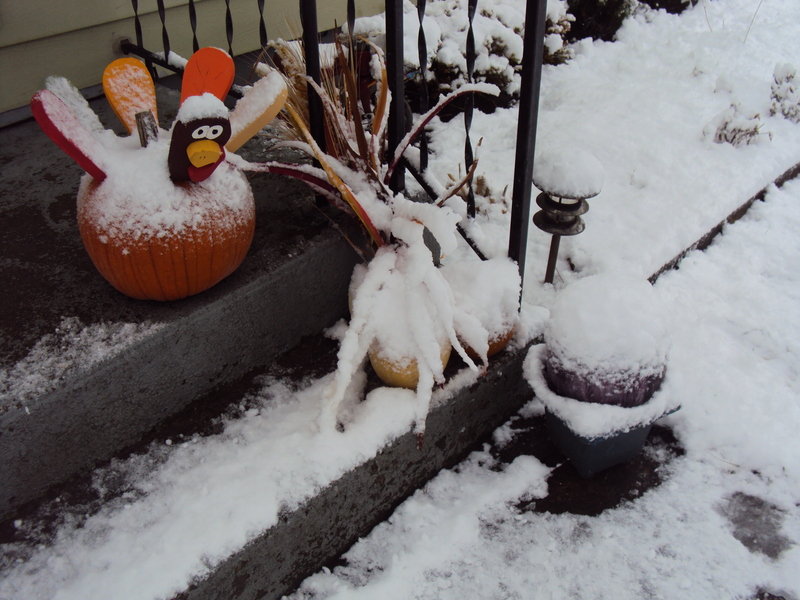 This was actually a very hard growing season for Western New York. 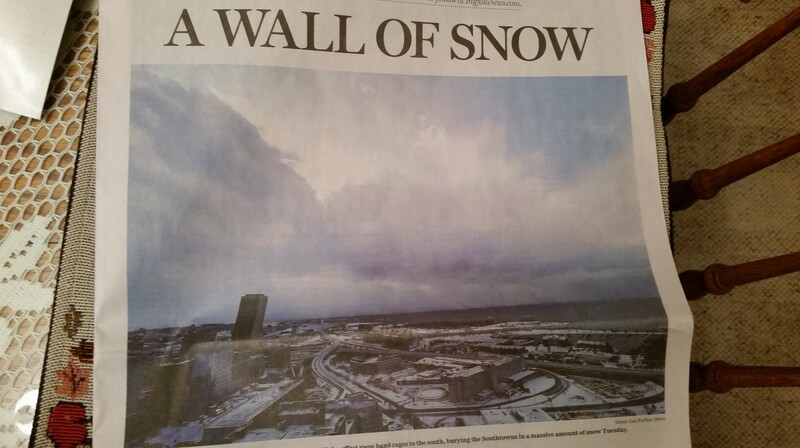 We came off an unusually cold Winter that included two blizzards that shut down the city of Buffalo. We were in the single digits for most of the Winter; no thaw came at all! And because of this brutal cold, the ground stayed cold right into June. 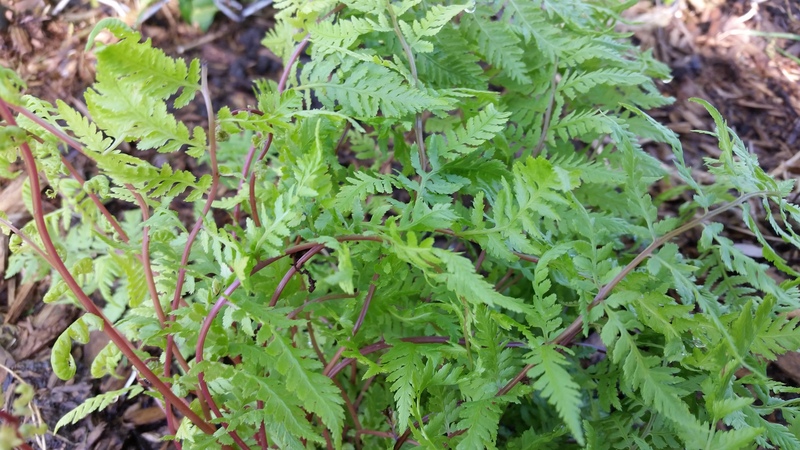 Unfortunately, I lost a few plants due to the Winter, and I had a really hard time growing anything I had planted. 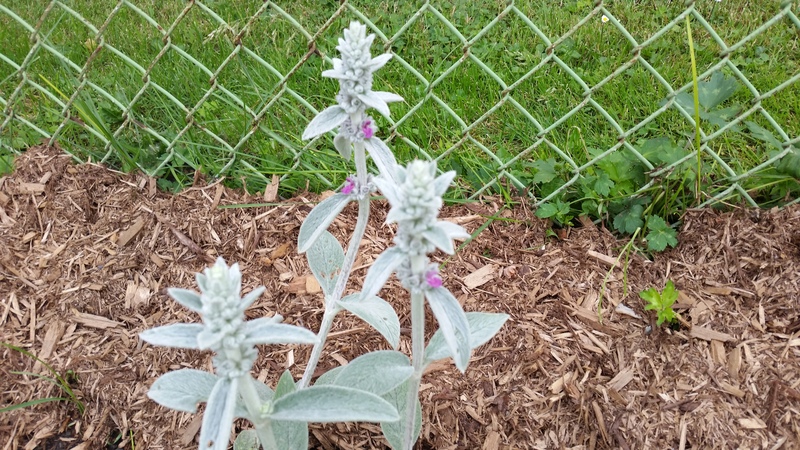 In fact, most of my plants didn’t really start “growing” until August and bloomed right into September! 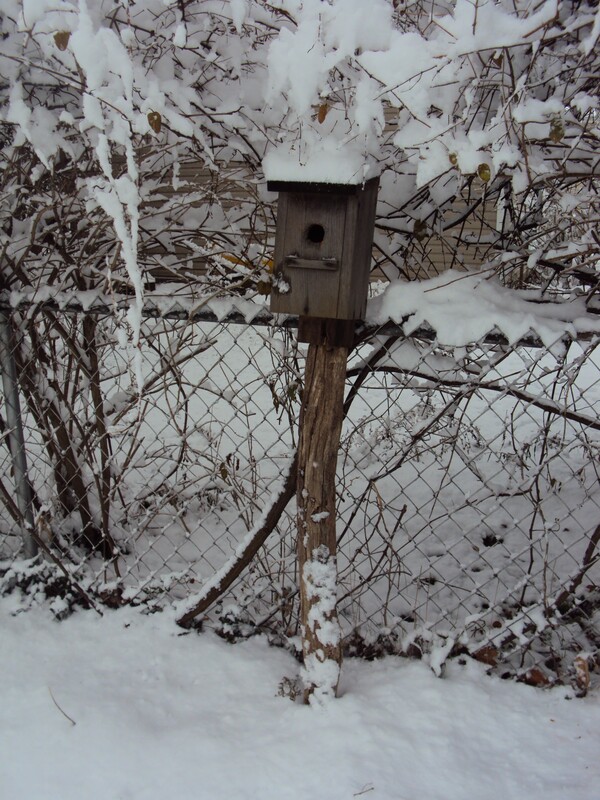 – The new bed I had my husband roto-till in early spring was just the right size for my yard and my lifestyle. As the old saying goes, “don’t bite off more than you can chew”. I was a little nervous that I might have gone in over my head,that I wouldn’t be able to maintain it. It actually turned out to be just right. 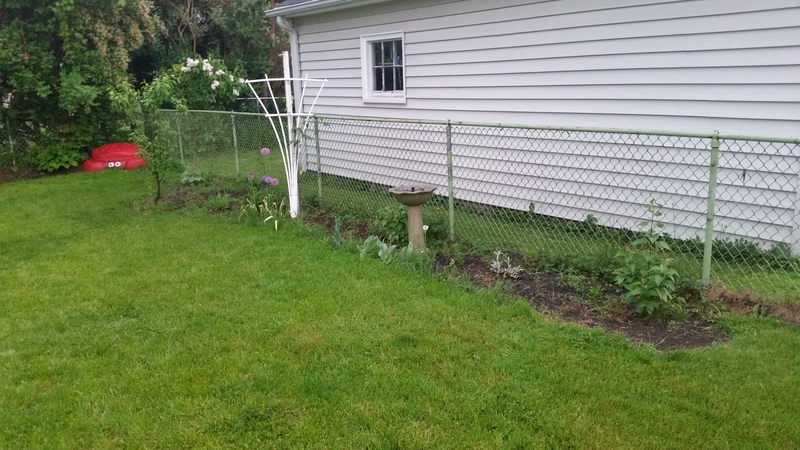 My brand new flower bed–it has changed so much since this picture! 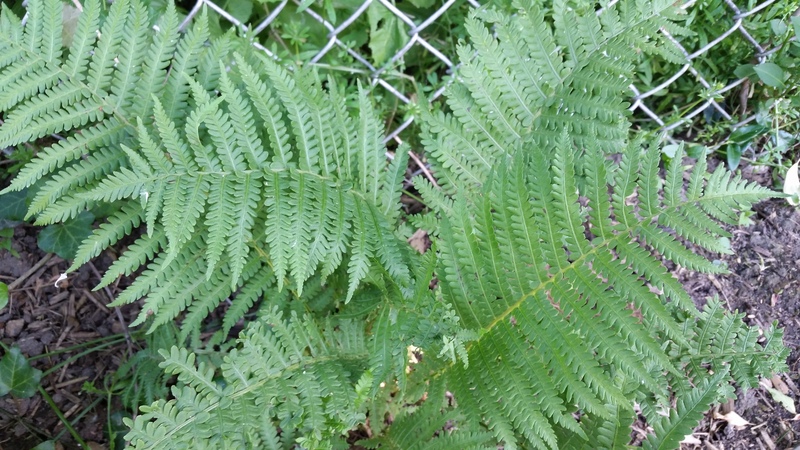 – I added MANY new plants this year. It was pretty much an addiction. I kept buying plants right up until August when all the spring nursery stock was marked down 50%! 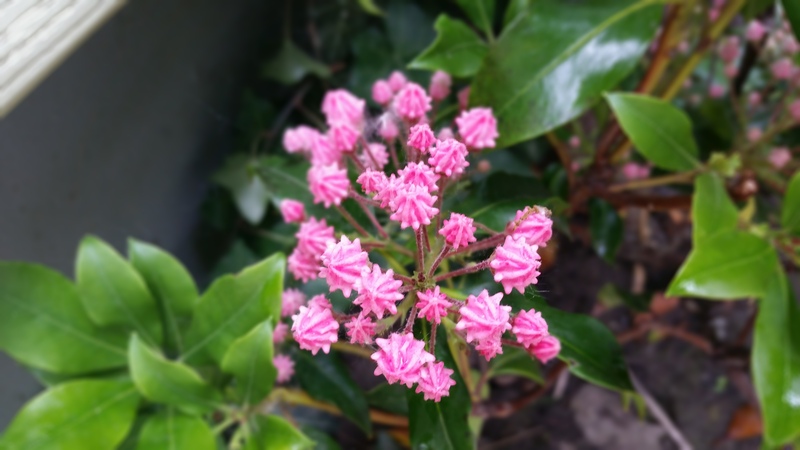 Spring nursery stock is just a term used to describe plants, shrubs, trees and flowers available for the new growing season. 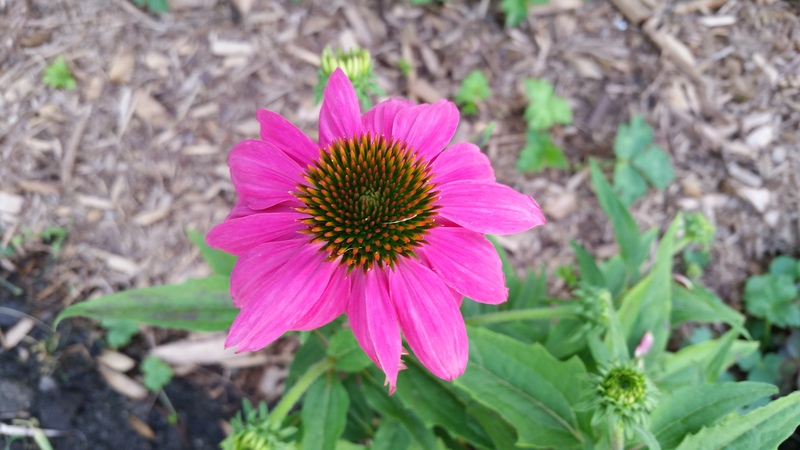 – This was the first year I was able to enjoy my garden. After six years of planting, transplanting and expanding, my back yard is finally looking like the beautiful, lush, oasis I wanted it to. 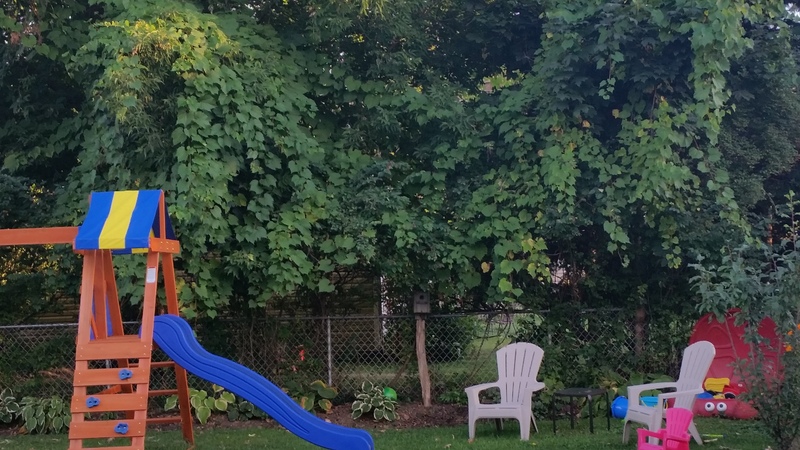 I bought a few Adirondack chairs and would sit out in the backyard early in the morning listening to the birds and drinking a cup of coffee, all before my daughter woke up. It was the best feeling in the world. – I did not water enough. Water, Water, WATER. Even though, I must say that I was a lot better this year with watering all of my new plants, I could have done better. Plants you purchase and put into the ground need a ton of water to establish, or as I like to say, “make themselves at home”. Then, once they are established, you don’t have to water as much. 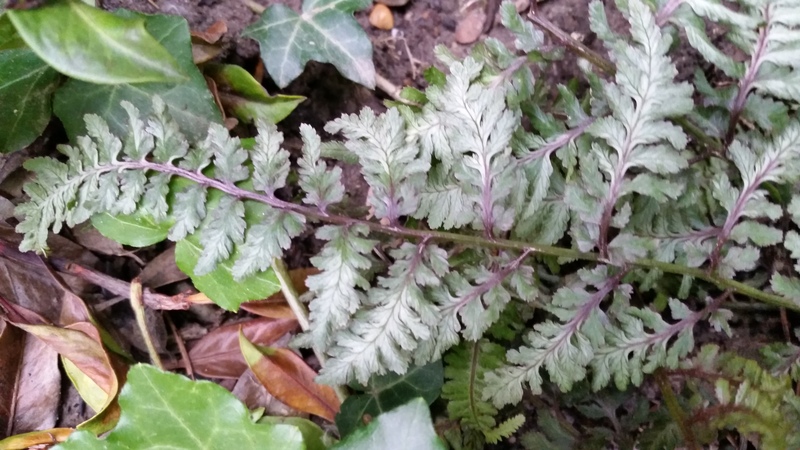 – I need to mulch a little more than I did. This would have helped out with my water situation! It’s amazing how much of a difference mulch does make for beds, such as the ones I have in the far back of my yard, when you can’t get the hose to reach out that far! I have also been interested in making a compost pile. – I didn’t fertilize as much as I should. I usually fertilize with the Miracle-Gro liquifeed for maybe the first 4-6 weeks of the season. I probably only did it two times this year. 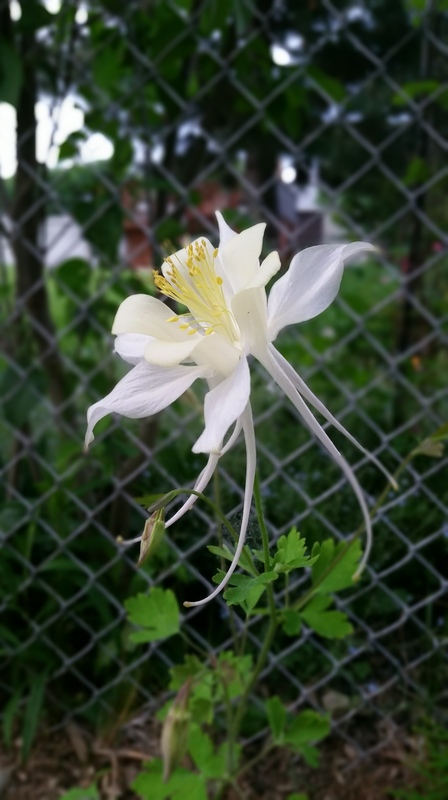 I think this would have aided in earlier blooms in my garden. All in all, progress was made this year, I am happy with that. I have big plans for next year, so that makes me all the more anxious to get out there and get “growing”!